I'm not sure if any Arlandria residents made it down to the Meet and Greet, but it was an opportunity to learn about many projects and plans in Alexandria. I brought along some information on the effort Arlandria residents are undertaking to improve the neighborhood to share with some of the key players. Kevin Beekman and I spoke with representatives from various organizations. 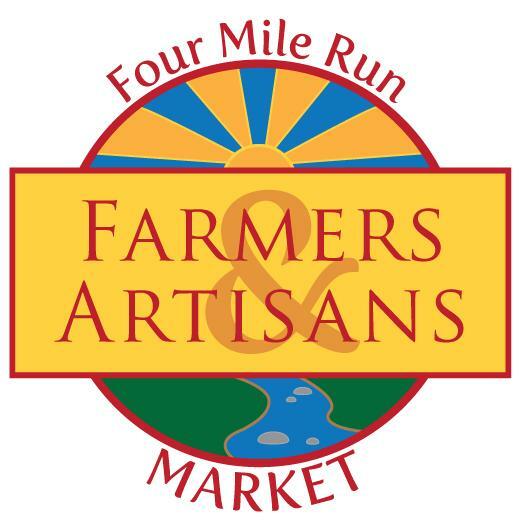 The meet and greet took place in the cafeteria of GW Middle School in Del Ray from 7 to 9 PM on March 9. There were dozens of booths set up with representation from many city services and local organizations, including Planning and Zoning (P&Z), the Fire Department & Code Enforcement, the Police Department & Sheriff's Office, the Alexandria Economic Development Partnership, and the Northern Virginia Regional Commission (NVRC). There were a number of development projects on display. P&Z had a large model of the Potomac Yard redevelopment (which they expect to break ground on in the fall with buildings just south of Target). The development projects closest to Arlandria are Mt. 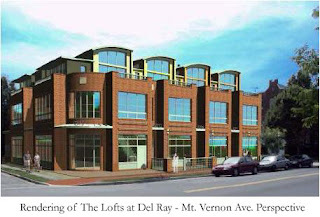 Vernon Commons (triangle site), Lofts at Del Ray (see Street View of Site: Raymond St and Mt. Vernon Ave), and a newer plan for development at the former Anthony's Auto site (see Street View of site: Mt. Vernon and Commonwealth Aves.). These are all important bridge projects that bring population density northward towards Arlandria and will hopefully provide positive network effects to the southern border of Arlandria. The area is still far from the density that will be required to support new shops and businesses in the future. I spoke with the head of P&Z for awhile, discussing Arlandria potential and ways to realize it. We discussed the creation of an Arts District, the creation of additional coordinated development districts in Arlandria, and harnessing the draw of the Birchmere. I introduced our ideas to bring in streetscape improvements to help brand the area (signage, street banners) and she was very receptive. I also spoke to Aimee Vosper, the Director of Environmental & Planning Services with NVRC. She expects the Four Mile Run Restoration Project to move forward in the not-too-distant future. Our Senators and Congressmen may be working on federal funds to actually begin the stream bed restoration. The Commonwealth Ave to Eads St bridge will likely break ground very soon. The planning phase for park expansion on the northwest corner, a future gateway for park visitors, should begin this spring once Open Space has finished the environmental remediation of the land where a dry cleaner once stood. Kevin and I had other conversations with Warwick Village members about getting involved with Arlandria improvements, with Alexandria Convention & Visitors Association about the Alexandria Aces and the Birchmere, and with the head of the Del Ray Business Association about their experience installing street banners. We also discussed ways to improve the look and feel of Hume Springs with Inspector John Javelle of Code Enforcement. Several future blogs will no doubt go into depth on each of these topics. All in all, it was a productive set of meetings and greetings for Arlandria and a lot of people were very interested to hear of all the activity amongst the various Arlandria citizens associations.